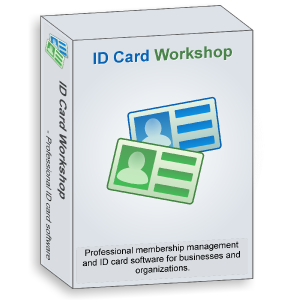 ID Card Workshop Team (A division of PixelApp Ltd.) , the world's leading provider of id card software today announces the release of ID Card Workshop 4.0 - a professional and easy-to-use ID card designing and membership management software. This new version of ID Card Workshop added Toshiba FlashAir WiFi SD card support and with many other improvements and new features. "With FlashAir SD cards and the new FlashAir WiFi SD card support of ID Card Workshop, the software enables users to transfer their photos from digital camera to the software wirelessly and directly, which helps users to speed up the process of membership enrollment for photo ID cards." said Alex Li, the director of the team. "With this new feature, importing photo become much more simple and seamless. By connecting the computer to FlashAir SD card's WiFi network, users may select and import photos directly on ID Card Workshop." ID Card Workshop is a "must-have" tool for business owners who wants to establish their in-house membership system and loyalty programs. It can also help employers to create and maintain their employee systems and visitor tracking systems.